Leaks from above or underground storage tanks can be costly, dangerous to worker health, and environmentally unsafe. Arjay provides sensors to monitor for leaks and spills. Probe variations can extend these applications to meet your specific needs. 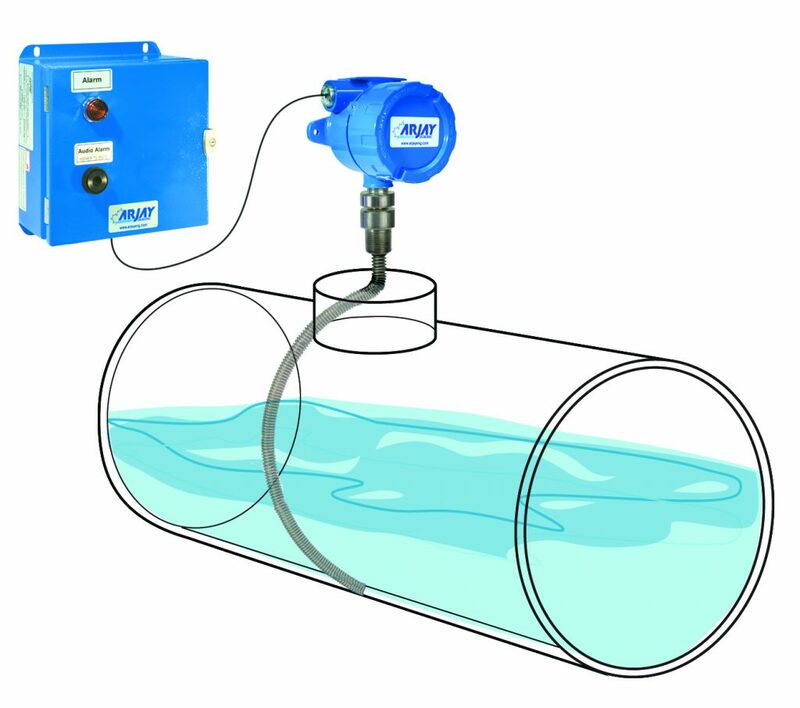 For double walled tanks, above or underground, the Interstitial Leak Alarm is designed to alarm on a dry vs. wet condition within the walls. This unit will alarm from a leak within the internal tank or from an outside leak into the wall cavity. The 2852T-ILA probe monitors the interstitial space near the bottom of the tank and locks in on the capacitance field around the probe tip. Any liquid that intrudes into this space will increase the capacitive field and initiate an alarm. The leak source can be from the stored product leaking from the tank or from groundwater leaking through the outer wall.